Dr. Heisser has been working in the dental field for three years so far, and he looks forward to many, many more! He was the Valedictorian of his graduating class at Fruisport High School and chose to earn both his undergraduate and doctorate at the University of Michigan. 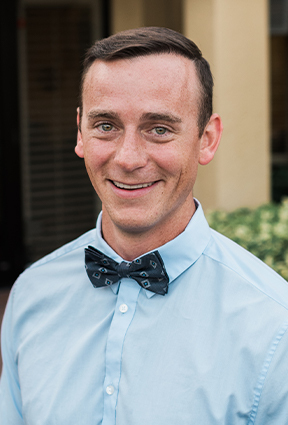 He loves working alongside such an amazing team at Pelican Landing Dental. Originally from Muskegon, MI, Dr. Heisser comes from a very close-knit Midwestern family of outdoorsmen. His cousins are his best friends. When he isn’t busy at the office, he enjoys fishing, hunting, skiing, and working out. He is the proud parent of two beautiful hairless Sphynx kittens.